The only excuse I can come up with to explain my blog tardiness over the last couple of weeks is the admission that my life is starting to merge into some sort of normality and therefore should not demand any more attention than it did before we started out on this journey together. Whilst I am still under the care of an Oncologist, I am - for all intents and purposes - no longer a cancer patient. My post-treatement scan is due to take place in the first week of September, I’ll continue to take Tamoxifen for at least the next 2 years and will have annual mammograms but those are the only things (coupled with my ‘vigilance’) which will act as my safety net. They advise you be vigilant for symptoms that the cancer may have reoccured or spread but not to allow it to take over your life, that’s easier said than done. They could just as easily have said “off you go into the wilderness, there’s a chance you could be mauled to death by a bear but don’t let that worry you….. just keep an eye out for bears”. I was forced to spend my time sitting in the shade drinking the all-inclusive cocktails and sniggering as the lifeguards chased after Erica as she hurled herself into the deep end of the pool (no idea where she gets that from!) Here's a video of Nathan and Erica enjoying the evening entertainment. What else? Oh yes, the barnet… it’s taking on a life of it’s own! 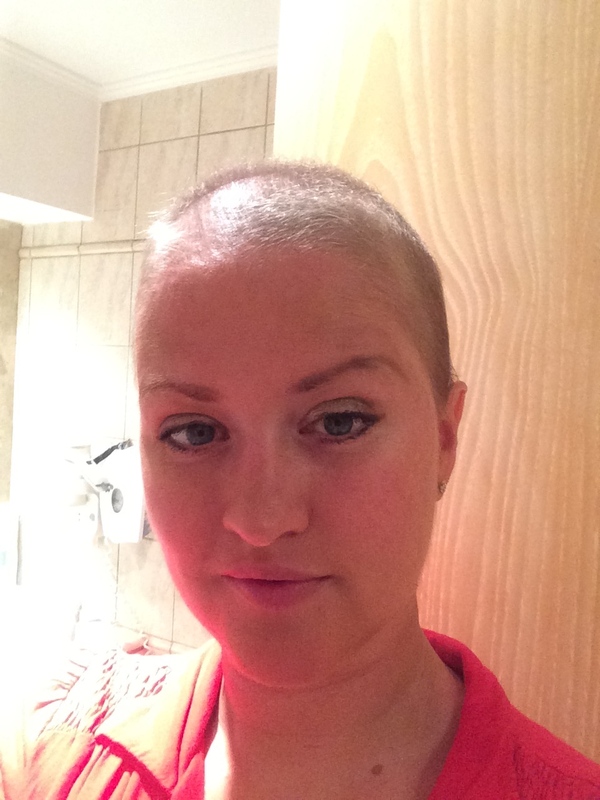 They say that your hair grows back very differently following chemotherapy and I am never one to disappoint. It seems to be coming back some kind of weird ash-blonde but it could be growing back green for all I care, with each passing day I am starting to look more GI Jane than Jabba the Hutt!